Posted April 27, 2018 by Jenna & filed under KidLit Coffee Talk. Good morning, kidlit friends! Welcome to another edition of KidLit Coffee Talk. 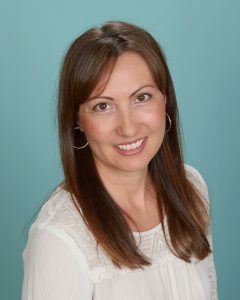 I’m thrilled to feature PB and MG author Rosie Pova on my blog today. Rosie and I met through our publisher, Clear Fork/Spork. 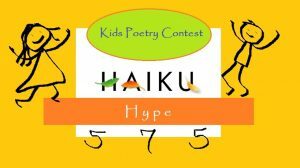 Not only is she an active member of the kidlit community, she also runs writing contests for children, including KWEST and Haiku Hype. 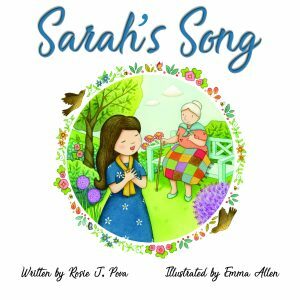 Her latest book, Sarah’s Song (Spork 2017), was illustrated by Emma Allen. First off, what kind of coffee (or tea) do you like to drink? Tell me a little bit about yourself and your writing journey. I immigrated to Canada from Bulgaria in 1998 as an adult, and a few years after that my family and I came to the United States. I am a mom to three wonderful children and currently a full time writer. My journey as a writer was long and filled with failures…uh, I mean opportunities to learn. And so I did learn a lot over many years and kept trying and trying to break through. I persisted because I was really passionate about writing for children and committed to realizing my dream. At times, when the rejections piled up and things looked very discouraging, I thought about quitting, but that didn’t work out. So I learned how to enjoy the process, nourish my creativity and continue the pursuit, no matter what. Those are truly some words of wisdom. Persistence is key if you want to succeed in children’s publishing. Speaking of which, 2017 was a busy year for you, with 3 books published! Tell me about your newest picture book, Sarah’s Song. Sarah’s Song is a very special book to me. I dedicated it to my grandparents, who are no longer here, but they were a big part of my childhood and I loved them dearly. I’m happy to see that the book is doing well. Just last month it was featured in Kirkus Reviews as the Indie Editors’ pick so that was a great surprise. The book and the book trailer were also included on a list of the 100 Must-have Books for the Elementary Classroom, created by Kate Narita who is a teacher, writer and a blogger. 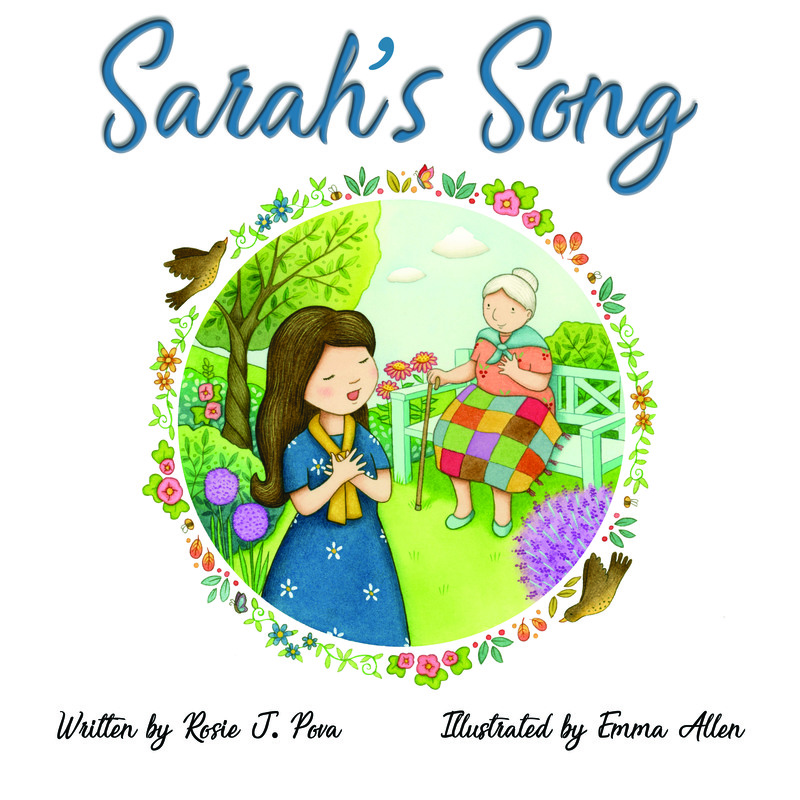 I hope more young readers will discover Sarah’s Song and share it with their grandparents. I know kids have a very special bond with their grandparents and the story will help them celebrate that bond, even when things change with the aging of Grandma and Grandpa. I’m a big fan of Sarah’s Song. It is certainly a special book. What was the most exciting part of the publication process? What was the hardest? The most exciting part was that my book was becoming real. I loved seeing my characters in the illustrations and how that transformation took place, bringing them to life. The hardest part was letting go of revisions and tweaking over and over before I called it a final version. This was new to me and a bit scary―it seemed like there could always be room for improvement when I woke up the next day. That’s so true – as writers, it can be hard to let go of the manuscript and trust that it’s the best it can be. What else are you working on? As usual, I am juggling multiple projects at once. It’s my new normal now and I enjoy it. It’s never boring in my world! I am super excited about a few stories in particular. Two of them are currently on submission and I can’t wait for the other two to go out next. They are my newest polished manuscripts that I wrote in 12 x12 and when I sent them to my agent, she said “they are both kind of brilliant :)” which was wonderful to hear. I hope these stories find a publishing home soon and I look forward to sharing them with readers, but I can’t tell you more at this time. I can’t wait to see what comes next for you. How has life changed since becoming a published author? Life as a published author has changed a lot. I am busier now because besides writing and revising at home, I need to actively promote my new book babies in any way I can and make sure they adjust well in the world. This includes leaving the house once in a while ;). I try to go places where I meet my readers like school visits and book fairs which requires planning, preparation and time. I love inspiring kids and having my books in their home and school libraries is such an honor. Interacting with young readers is certainly one of the best parts of being an author. What’s one picture book you loved when you were little and a more recent one you love now? We didn’t have many choices when I was growing up in Bulgaria―mainly fairy tales and my favorite was Cinderella. A recent book that I love . . . There are many, do I have to pick just one? I love 7 Ate 9 by Tara Lazar, illustrated by Ross MacDonald. It’s so clever and funny! I love that one, too. Tara Lazar is hilarious. What are you currently reading? I’m reading a lot of picture books for research. There are a few new releases that I want to check out, too. I also read some middle grade and young adult books, occasionally, and I always have a self-development book on my nightstand. I get that question a lot for interviews and I’m running out of shareable things people don’t know about me haha. But I’d like to share something new that I have in the works and I’d like more people to know about. 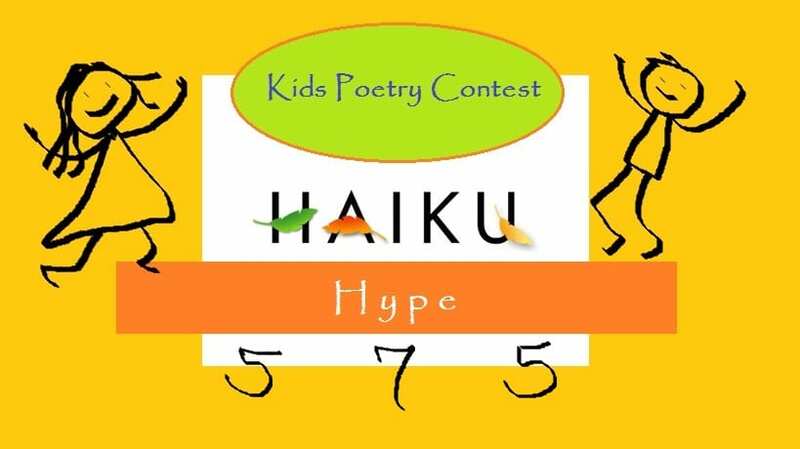 It’s my poetry contest for kids called Haiku Hype. It’s a nationwide competition in April intended to inspire kids to write and get in touch with their creativity. I am giving away a Kindle for kids e-reader plus other amazing prizes and it will be great to get many students to participate. Thank you, Jenna, for having me. It was a pleasure to talk with you. Thank you so much for taking time out of your busy schedule to chat with me. I’m looking forward to checking out the wonderful poetry the students are sure to create! Rosie has generously offered a fiction, non-rhyming picture book manuscript critique (up to 700 words) for one lucky KidLit Coffee Talk reader! To be eligible, all you have to do is a leave a comment on this post. I will choose a winner at random next Friday, May 4th. Good luck, and thanks for stopping by! Excellent interview! So glad you never gave up, Rosie! That was a great interview. Loved hearing about persistence paying off. Great interview, Rosie! Loved learning more about you and to hear about your upcoming projects! Thank you for sharing your thoughts in this interesting interview! I love 7 Ate 9 too! Thanks for the opportunity to win a critique. I’m looking forward to reading this book! Thanks for the insight on your process and congratulations on your book baby! Thank you, Heather! Hope you’ll like Sarah’s Song–please post a review when you read it 🙂 All the best to you! I love Sarah’s Song and am glad it’s being so well received. Can’t wait to see your next ones. Congratulations on your publication! I also grew up with fairy tale and Cinderella is one of my favorites, as are the modern-day Tara Lazar picture books. Good luck on your journey. Congratulations on the success of Sarah’s Song and thanks for sharing your experience! It’s wonderful to see a fellow NTSCBWI sister doing wonderful & amazing things! I can’t wait to see the new stories you have on submission come to life! Thank you, Julie 🙂 I hope they find a home fast, I can’t wait to share them either! Congratulations all around! It’s fun to read about other Spork authors And thank you for the opportunity to receive a critique. Thank you for sharing your story, Rosie! As someone who took some time off at one point, but returned and have felt re-energized over the last few years, I am encouraged by your perseverance and success. Best wishes with your manuscripts on submission, those you’re developing, and the ones you haven’t even thought of yet! Can’t wait to check out Sarah’s Song! Happy to hear that, yay! Please post a review when you read it 🙂 Much appreciated. Wonderful interview! I also drink coffee, black. Sometimes a red eye or even a black eye as a treat! Happy Writing! I so enjoy hearing about writers’ journeys to publication. And congrats on your “kind of brilliant” manuscripts :). Too bad I missed the Haiku program! I’ll keep an eye out for other opportunities to share with my library kids! Wendy, please do. I have another short story contest called KWEST and then Haiku, too, for next year. There’s a downloadable teacher’s guide on my website for another one of my books as well as activity sheets for Sarah’s Song, if you get the book for your library so students and teachers can use those :). I love Sarah’s Song, it is a beautifully written and illustrated book. Thanks for a fab interview! As an aspiring pb author I appreciate the insight. Great interview, Rosie and congratulations on Sarah’s Song. Your haiku for the kids is a wonderful idea. I chuckled about the rejections being opportunities, excellent way to view them. Great interview! You are one busy lady! This was a really interesting interview! Thanks for sharing about your ongoing journey! The reminder to persevere is a good one. Thanks Rosie, really encouraging… and thanks for the tip about “100 Books for my classroom”… I can’t wait to add yours to my shelves. Thanks for sharing your writing journey with us! I agree. The toughest part is letting go of the revisions! Great interview! I thank you for sharing and for being true to yourself in never giving up. Bringing your heartfelt story to life. I’m looking forward to reading Sarah’s Song. Congratulations on all of your success! It’s so nice to hear that you juggle lots of things at once. Me too, but I sometimes feel that means I can’t focus…I just like to have options to focus on 🙂 Thx for the giveaway opportunity too. I must sit and write. Congrats Rosie! So glad you go and visit schools! I teach reading and often show my struggling readers edited copies of my mss to show them that to create a good piece of writing you need to spend some time with it. I’m excited for your future! I love your honesty Rosie! This is a hard road… but obviously you are passionate and your hard work has paid off! Amazing to hear your stats for books being published last year, and on sub this year! Thank you, Rachel. I look forward to sharing good news soon, hopefully. All the best to you in your journey! I love books that have a music connection. I read them to my students at the school where i teach music. Your journey is inspiring! Thank you for sharing. The opportunity for a critique and yiur interview is a win-win! 🙂 Thank you and good luck! Thanks so much for sharing your story with us, Rosie! One of the PB manuscripts I’m working on is about the relationship between a little girl and her grandmother who has developed dementia. You have inspired me to keep going with it. So happy to hear that it encouraged you 🙂 All the best with the story! And I think Haiku Hype is a great idea. I loved writing haiku as a kid. I always love hearing about writers who achieve their dreams after years of effort. Thank you for all the ways you support the picture book community.